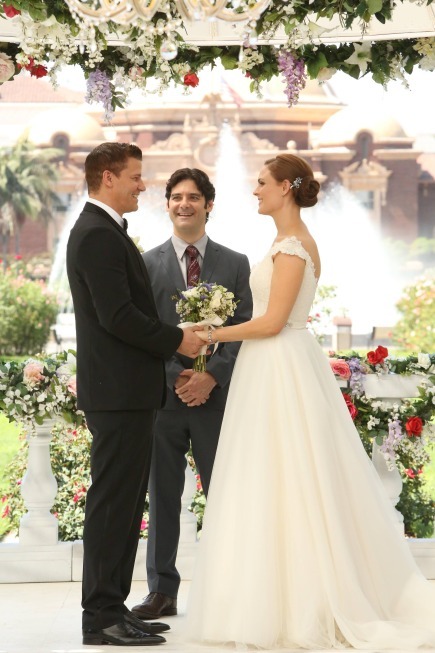 This Monday night, Bones and Booth will finally tie the knot! 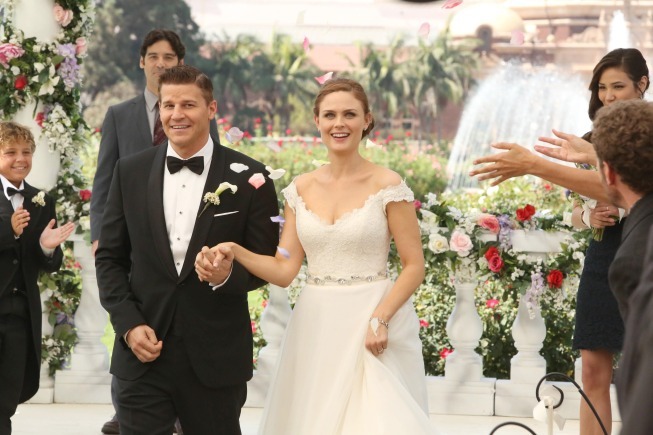 It took until Season 9 for it to happen, but it's happening, and if you're even only vaguely familiar with the series and the characters, the above clip, which shows us some mild wedding rehearsal shenanigans, should seem pretty standard for Bones. Love is in the air and cell phone bells are ringing! But it stands to reason that when everyone's cell phones start ringing at around the same time and all of those people happen to work together in urgent-type careers, maybe the call is important, right? Seems like something's up! Sure enough, there is a murder investigation going on amidst the wedding storm. 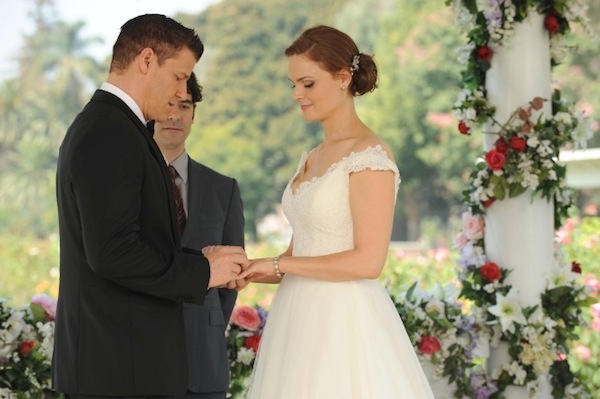 In fact, the official episode description for "The Woman in White" says the body was discovered at the time of Brennan and Booth's wedding rehearsal. Some vague episode spoilers ahead! 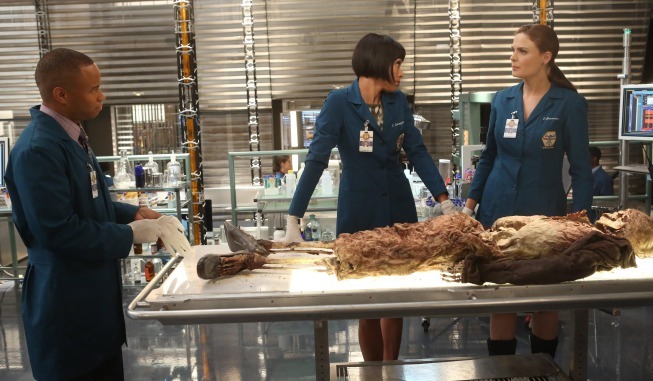 The Jeffersonian team investigates the murder of Nancy Handelman, whose body was discovered at the time of Brennan and Booth's wedding rehearsal. When the case becomes more serious than the team anticipated, Cam and Angela do everything in their power to keep the details of the investigation from Brennan in order to ensure that she will stay focused on her big day. 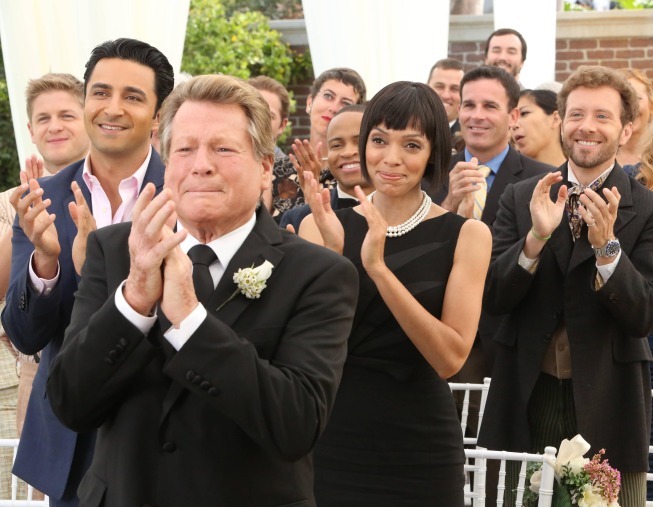 Tensions run high when unfortunate events occur to stall the wedding temporarily, and Max (guest star Ryan O'Neal) comes to town with a suspicious duffle bag full of money. He's a funny guy. And if you're familiar with his credits, that's not news to you. Among his recent roles, Horsnby voiced the role of Joel in Unsupervised and has recurred as Rickety Cricket in It's Always Sunny in Philadelphia. Now, the episode description mentions something happening to stall the wedding temporarily. 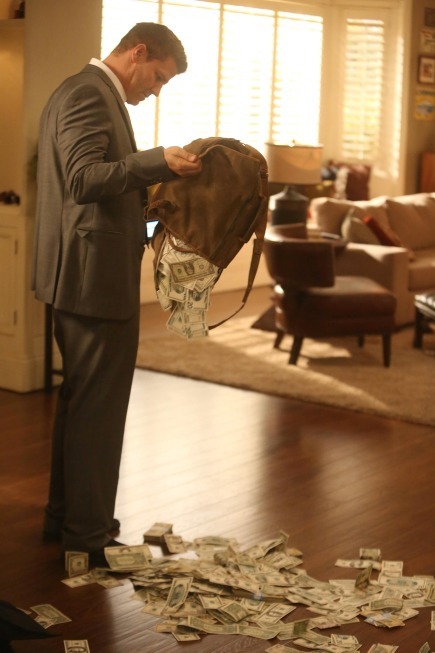 Does it have something to do with Max's duffle bag full of money? Or Brennan getting involved in the case everyone's trying to keep from her? Possibly but it might be priest-related. 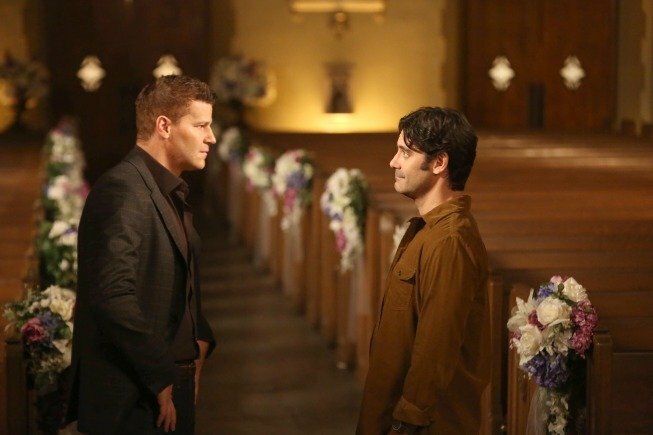 Some of the photos show Booth and Brennan at the alter and it isn't Hornsby's Father Daniel Harrow, it's Mather Zickel, who plays Aldo Clemens, an ex-priest who counseled Booth when he was a sniper. He's appeared in the show before. So maybe something happened to Harrow and in a scramble, Aldo stepped up to do the honors? Just a guess. They also do the rehearsal in a church while the actual wedding is set outside, which seems odd, unless the location wasn't available when they needed to rehearse. Enjoy more photos from the rehearsal, the wedding and the murder case in the gallery below! 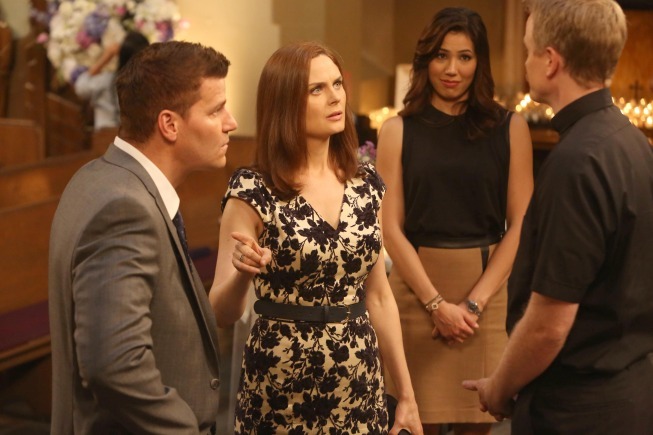 Bones airs Monday at 8:00 p.m. ET on Fox.